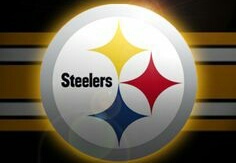 NFL GOING GOLD IN 2015 | "IT'S A STEELERS WORLD"! CBS Sports reports that the NFL’s going all out for the Super Bowl’s golden anniversary. During the 2015 season, you’re going to see gold everywhere as the league prepares for Super Bowl 50, which will be played on Feb. 7, 2016 and televised by CBS from Levi’s Stadium in Santa Clara, Calif. The golden celebration will start at the NFL Draft, where each player who’s drafted will be given a team hat with a golden NFL shield logo on the back. The draft, which is being held in Chicago for the first time since 1964, will also include a Super Bowl museum that will have — you guessed it — a gold theme. 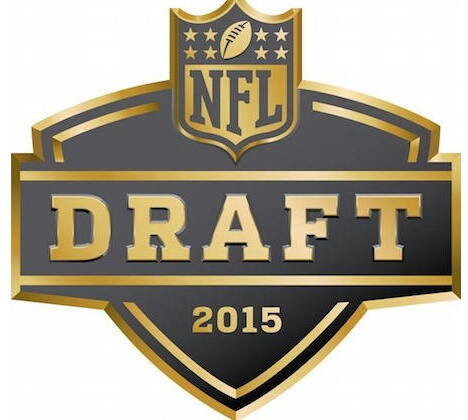 The draft won’t be the only place you’ll be seeing gold in 2015. A golden NFL shield logo will be painted on the field at every NFL stadium across the country. You can see the “Kickoff Weekend” and playoff logos below. Along with the golden NFL shield logo that will be on each field, every stadium will also have a gold 50-yard marker along the 50-yard line — meaning the number 50 will be gold, but the actual line won’t be, as you can see below. You’ll see the gold markings beginning with the Hall of Fame game in August. Gold won’t just be on the field either, each team will also be wearing the color on their sideline starting in Week 7. Sideline gear like hats and jackets will be outfitted with gold-trimmed logos. To give you an idea of what that will look like, here’s what the gold-trimmed Seahawks logo will look like. It’s not just the regular season that’s going gold for Super Bowl 50 either, the Pro Bowl will also be embracing the commemorative color. The Pro Bowl uniforms basically consist of three colors: Black, white and gold. What’s a golden 50? The numerals five and zero will be bronzed and plated in 18-karat gold. 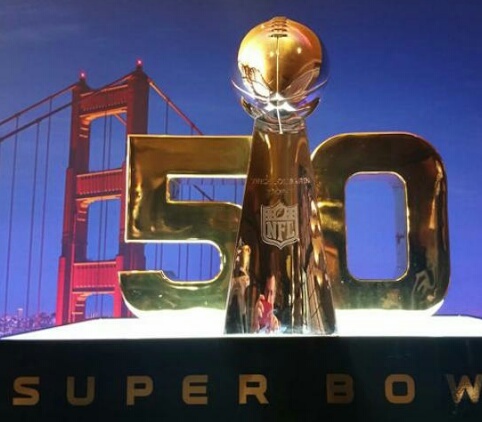 Here’s an upclose shot of what the Super Bowl winner will get (photo via Cyd Zigler). CBS Sports NFL Insider Jason La Canora says that each numeral will weigh 33 pounds, so they won’t exactly be easy to carry. Like the Lombardi Trophy, the golden “50” will be designed by Tiffany. Super Bowl rematches: The 2015 schedule is filled with Super Bowl rematches and the league will encourage each team to celebrate each one of those. Yes, this could turn into a nightmare for Bills fans as Buffalo will have to relive each one of its Super Bowl losses. The Bills lost four consecutive Super Bowls to three different teams (Dallas (2), Washington, New York) and Buffalo will be playing each one of those teams this year. We don’t know when those games will be played yet though, the NFL schedule is expected to be announced sometime before the draft. The first Super Bowl rematch will happen at the Hall of Fame game when the Steelers play the Vikings, a rematch of Super Bowl IX. Super Bowl homecomings: Individual teams will get a chance to honor the Super Bowl teams of their past during home games in 2015. Look for Super Bowl players to serve as honorary captains and for teams to possibly hold special halftime celebrations. Super Bowl high school honor roll: One of the more unique ways the NFL will be celebrating Super Bowl 50 is by sending a gold football to every high school in the world that’s produced a player or coach who’s appeared in a Super Bowl. Think about that for a second, because that’s a lot of gold footballs. The league will invite some of those 3,000 players to personally deliver the gold football to their individual high school. It’s an ambitious project, but a smart one. High schoolers around the world will likely be thrilled when they see someone who played in a Super Bowl walk into their gym and present their school with a golden football. NOTE: Sorry to Cleveland, Jacksonville, Detroit and Houston fans who read this far. Since your teams have never been to a Super Bowl, you’re going to miss out on a few things like Super Bowl homecomings.